I remember my first virtual reality experience so clearly. It was 2016, I was in my local shopping centre and Unicef had a stand where people could try out its new immersive experience. I remember putting the headset on and watching a story unfold before my eyes. It was a Syrian refugee camp and it felt like I was in it. It was exciting to imagine where this new technology would take campaigning and fundraising. Roll on a few months and I was invited to Westfield in Stratford, east London, to try out WWF’s Tiger VR experience. It had set up a pop-up forest with facts and quizzes throughout the trail and "rangers" to guide you and answer any questions. The VR experience itself allowed you to step into the boots of a ranger and come face to face with a tiger. I remember watching a child as they were enthralled by the experience and kept shouting with delight. It was wonderful. The aim of this experience was both to raise awareness of the plight of tigers and to double their numbers by 2022, with people asked to support the charity by adopting a tiger. It was a huge success, with the charity beating its sign-up target by 21 per cent. I saw how VR could be a powerful fundraising tool. 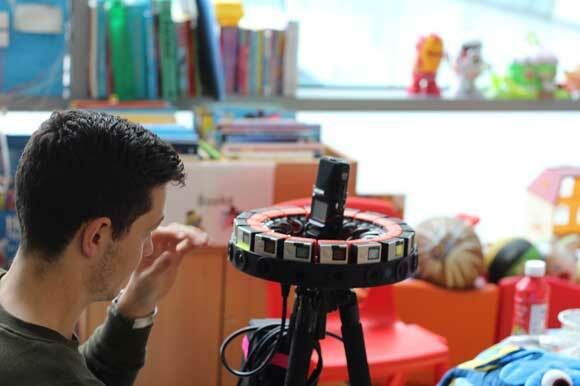 A couple of weeks ago I was invited to Great Ormond Street Hospital to try its new VR experience. It's been wanting to create one for years, but didn’t want it to be a one-off or a gimmick. Although VR is becoming more affordable, it’s still rather expensive to create and most VR charity experiences to date have been campaign-driven. GOSH wanted something that didn’t necessarily have a shelf life but would engage its audience so it took its time to think of a concept. It landed on the idea of a VR experience that would take the viewer on a tour of nine areas in the hospital and bring it to life. There are two versions, which differ slightly. One is for families whose children will be going to GOSH for treatment. It gives them an idea of what to expect and what the hospital is like so any anxiety they might have is eased. They can go into various areas and explore, including a sensory room, the chapel, two surgical theatres, a patient bedroom on the Bear Ward and more. Helpful information is given by a member of staff or volunteer. The second version is aimed at potential donors – whether they are corporates or fundraisers – so they can see the difference their donations would make. 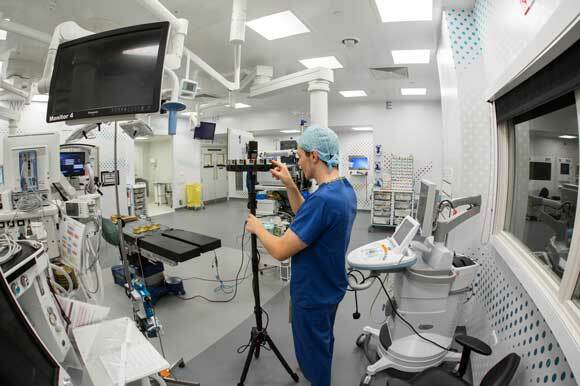 Both patients and donors come from all over the UK, so having a VR experience allows them to see the hospital without having to physically be there. The charity has invested in a few VR headsets that they can take out to meetings and events so people can try it for themselves. Once I had tried the VR experience in the GOSH office, I was taken to the hospital itself to see some of the areas I’d just seen on screen. We went to see the play room in the Eagle ward and I got to meet Denise Thew, who did the voiceover. I also got to see the chapel and the sensory room as well as spaces not included in the VR such as the amazing Disney Reef. Filming for the VR experience took place in 2017 and was edited together last year by the agency Rewind. It’s been a long process that involved getting and confirming consent (you should see how many people are in the main entrance and reception area part), organising the voiceovers and selecting the music. This isn’t the most exciting VR I’ve experienced – to be fair, who could compete with coming face to face with a tiger? – but I can see how useful this will be in giving people an immersive experience of life at GOSH. On 14 February, its 167th birthday, GOSH will be launching the experience on all its digital channels. And don’t worry if you don’t have happen to have an Oculus or even Google Cardboard, you’ll still be able to see it becuse it supports 360 video. Just head to the charity's YouTube channel using your phone, tablet, laptop or whatever and look up, down and all around.